The soundtrack to “Purple Rain” won an Oscar, a Grammy and a Diamond Award for selling 10 million copies. 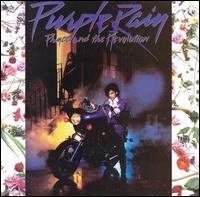 Now the landmark 1984 album by Prince & the Revolution has been named to the Grammy Hall of Fame. It is one of 30 new titles that will be displayed in the Grammy Museum in 2011. Founded in 1973, the Grammy Hall of Fame honors recordings of lasting qualitative or historical significance that are at least 25 years old. The honorees were chosen by a special Grammy committee. There are 881 songs and albums in the Grammy Hall of Fame. “Purple Rain” is Prince’s first work to land in the Grammy Hall of Fame. He was inducted into the Rock and Roll Hall of Fame in 2004, in his first year of eligibility.